Like you, I feel a great vacuum-space with the departure of The Captain from this planet. What a rare and exalted being. I had the pleasure of interviewing him back in 1982, when he was hanging out by the La Brea Tar Pits (near his good friends, Smilodon and the Ground Sloth) doing press for his last album, Ice Cream for Crow. There was a lot of wonderful blarney slung by CB that day – I especially treasure his description of the music-consuming public as “fish in a fishbowl eating their own excretum.” But he also said some things that confirm your instincts about what he was up to creatively. Beefheart definitely saw himself as a COMPOSER, akin to Igor Stravinski. In his mind, everything in a song was a part, a movement, not the expression of an individual player – in fact, his guitarist Gary Lucas later told me that after Gary played a part in the studio, Beefheart said to him, “Thanks for the use of your fingers, man.” His musicians were his paintbrushes, his tools. This doesn’t sound very nice or respectful and Beefheart admitted as much. 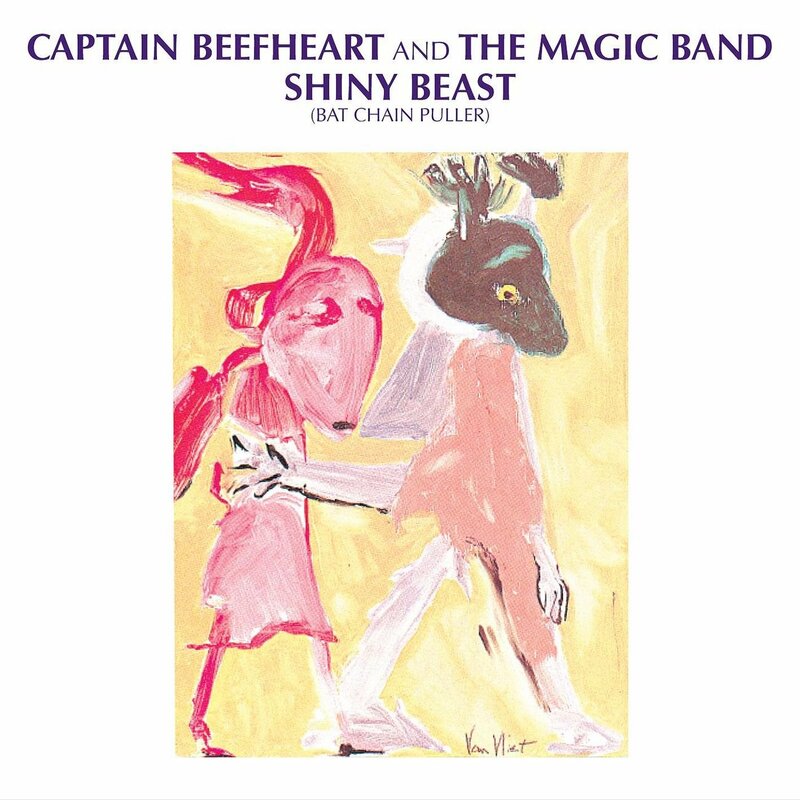 (His musicians – especially those who played during his Trout Mask period – insisted they had more to do with shaping the intricate song-parts than Beefheart gave them credit for. This is probably true. Yet I suspect CB so penetrated their psyches that they didn’t always realize when they were doing his will.) During our interview, Beefheart said that he got his songs whole, in a flash, and that the length of the song was how long it took to describe that single burst. That may account for the odd sense of movement and form in his songs. It also relates to his intense visual sense – CB was a painter and he thought like one when he was creating songs. Everything from “Ella Guru” to “Ice Cream for Crow” can be approached as still-life paintings seen from various angles through the course of the song. You are given a weird scene or portrait and you walk around it, poke at it, sniff it, taste it. As you said, there’s a heavy prankster element in CB. He liked to mess with people’s minds – he gave them a good fluffing, as if he was thwacking a pillow. He re-booted your cerebellum and made the world look cockeyed – or maybe right for the first time.